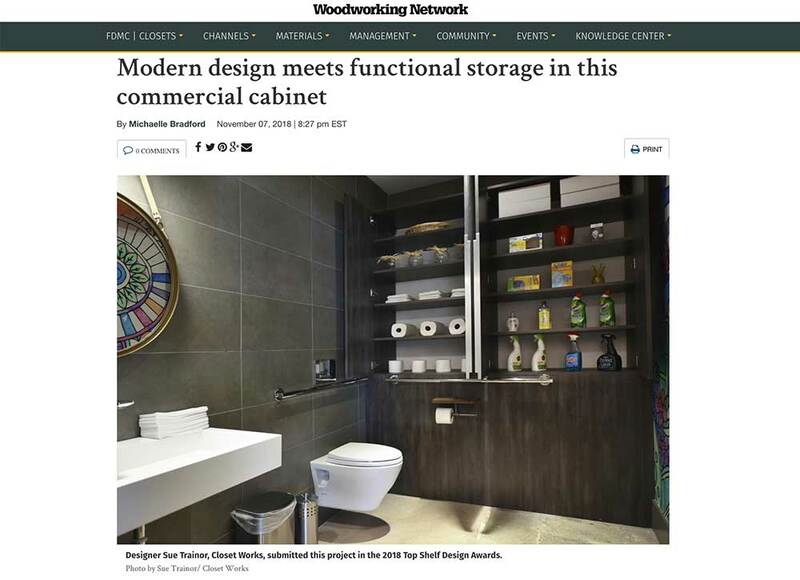 Closet Works Featured on ABC Channel 7 Chicago: "Made in Chicago"
Sue Trainor of Closet Works was recently interviewed by Woodworking Network regarding one of her recent storage projects. The client was Chicago Academic Tutoring and Test Prep. Chicago Academic tapped into Sue's expertise to solve a storage problem with the company's office supplies. Sue's unconventional solution took advantage of the only available space in the office — a public restroom. Unfortunately, there wasn't any room in his office or other "typical" locations for any extra cabinets. He did, however, have a large public restroom and wanted to build a storage space in the bathroom toilet area. He wanted a cabinet that would almost blend into the wall, creating a very modern look to coordinate with the tile and rest of the décor, while minimizing the existence of the storage cabinet, if not hiding it altogether. Additionally, there were plumbing issues and handicap accessibility requirements that needed to be taken into consideration. Her final design, titled "Disappearing Storage Cabinet," makes the whole complicated project appear simple and easy. No one from this busy household will ever be late for an appointment due to an inability to find their matching shoe! Shoes go directly underneath each family members jacket. I also included a basket with the shelf above the coat hooks for keeping keys, wallets and small things — making it simple to find them as you're dashing out the door. I backed each family member's cubby with Shaker-inspired beadboard. It lends a friendly, informal feeling and coordinates seamlessly with the cabinetry from the kitchen located next door. 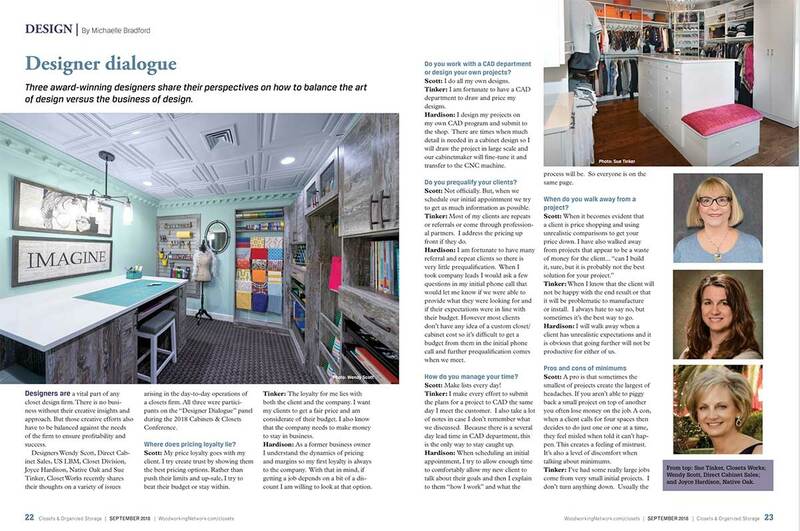 Three top closet designers share their thoughts on a variety of issues arising in the day-to-day operations of a closets firm. All three were participants on the "Designer Dialogue" panel during the 2018 Cabinets & Closets Conference. Nine essential tips for handling closet chaos, bringing in organization and keeping the clutter at bay. In your home, do closets tend to be afterthought areas? Perhaps they're the spaces that don't receive a lot of aesthetic attention and are simply places to hang clothes or store rarely-used items. Remedy that through these nine tips in which experts weigh in, giving your closets some much needed attention. 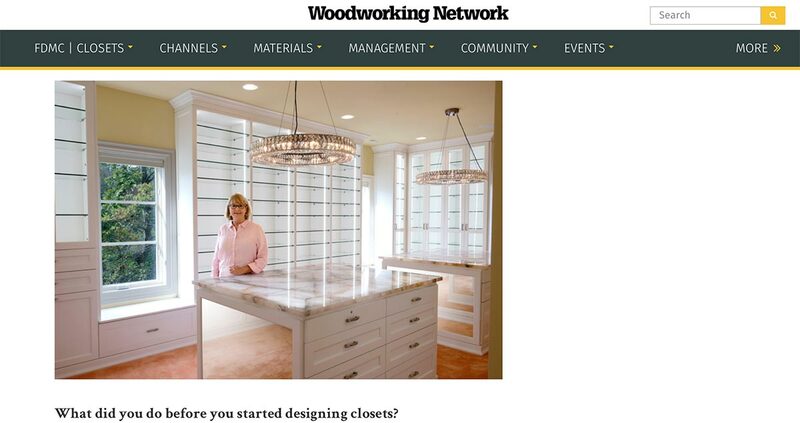 National author, trainer and industry expert Denise Butchko interviewed ten of the world's top closet designers, including Tim Higbee and Sue Tinker of Closet Works, in this fun, insightful article for Woodworking Network online magazine about the closet design business. Closet Works Wins People Love Us on Yelp Award for 2018! Closet Works Wins Three Second Place/Honorable Mention Awards the 2018 Top Shelf Contest! 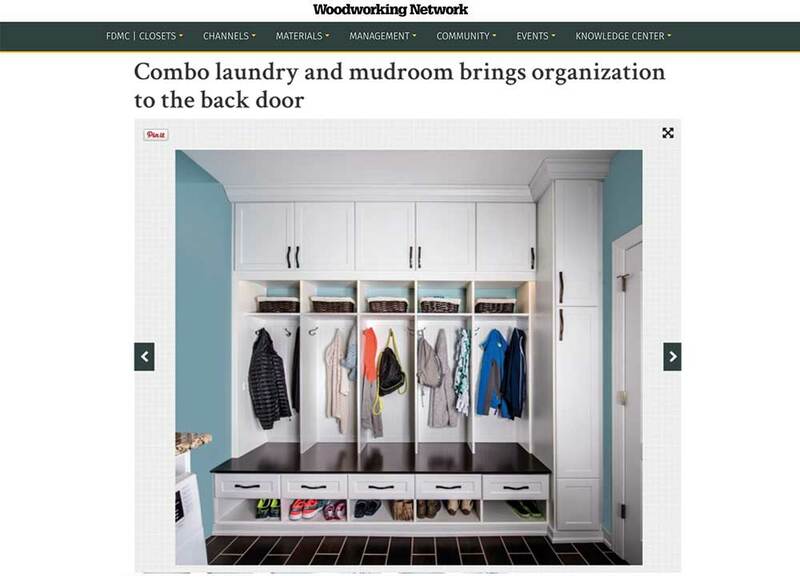 Chicago Magazine Votes Closet Works as the Best Closet Organizer Company in Chicago! Closet Works Sweeps the 2017 Top Shelf Awards with Five Wins! FDMC Digital Magazine Interviews Closet Works! Closet Works Wins 2016 Top Shelf Design Award! Chicago Area Russian Speaking Community Flocks to Closet Works as Prime Source for Custom Closets and Cabinetry! Closet Works Celebrates 2015 Top Shelf Award!